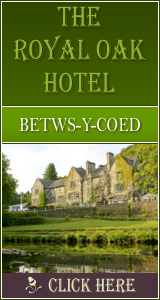 Mount Garmon View Guesthouse was built in the 1850s recently fully refurbished whilst maintaining its original Victorian ambience and features is located in the centre of Betws y Coed. With a magnificent view of Mount Garmon opposite it is the ideal base for adventures or relaxing in the picturesque Snowdonia National Park. Petra, the proprietor, offers warm hospitality with an emphasis on quality facilities and service. With a wealth of local knowledge and information we are happy to give guidance on how best to enjoy the surrounding beautiful areas of north Wales. Whether walking, horse riding, bird watching, touring, mountain biking, canoeing, fishing, playing golf, there is something for everyone including lovely shops, cafes and restaurants. The surrounding Gwydyr forest offers numerous spectacular walks and mountain bike trails directly from the house as well as the bigger mountains close by. The house has five, extremely clean, comfortable, well furnished rooms. Four double en-suite and one twin room with private bathroom. All but one has both bath and shower. All rooms are fully central heated, have generous hospitality trays, hairdryers, remote controlled TV and radio alarm clocks. An Iron is available on request as are drying room facilities. There is an extensive selection of maps and books available to help plan your day as well as books and games for the use of guests during their stay. There is a large private car park with lock up facilities for bicycles and motorbikes. Breakfast offers a wide selection of options, including fresh fruits, yogurts, juices and a hearty generous freshly cooked breakfast using local produce from award winning butcher and free range eggs. We are happy to cater for vegetarians and special diets with prior notice. Flasks are filled free of charge. 1839 Click Throughs => �919.5 Since 13/May/2013 based on an example �0.50 cost of a click through from Google pay per click.